GhostBed Vs Casper - Which Should You Choose? Home » GhostBed Vs Casper – Which Should You Choose? GhostBed Vs Casper – Which Should You Choose? 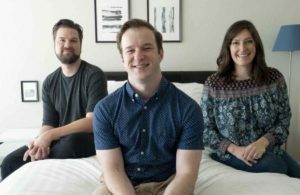 If you are in the market for a bed-in-a-box mattress, you have probably come across the GhostBed and Casper. They are two of the more popular mattresses out there. Having reviewed them both, I can also say they are two of the best. However, you are only going to buy one mattress. Both mattresses have a lot to offer but, if you look closer, it shouldn’t be too difficult to choose the right mattress. Which will it be: the GhostBed or the Casper? Read on for my full review. Save $50 by using the link below. A good fit for all three sleeping positions. Both mattresses are very popular. They both have good customer service terms. They are in a similar price range. They are both supportive mattresses. They both contain memory foam in their construction. The GhostBed is thicker than the Casper. They feature some different materials in their construction. The Casper is zoned while the GhostBed is not. The GhostBed is firmer than the Casper. You will sink into the Casper more than you do on the GhostBed. The GhostBed is 11” tall. The first layer is 1.5” of a latex foam. This is followed by 2” of a gel memory foam. The Casper is 10” tall. The cover is soft and thin. The first layer is 1.5” of a breathable, latex-like foam. Next there are 1.5” of a high-density memory foam. Then, there are 1.5” of a zoned transition foam. Finally, there are 5” of a durable support foam. 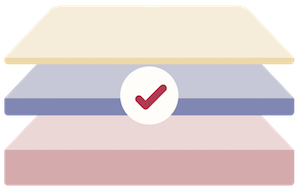 The transition layer on the Casper is zoned. This means that it is firmer under your lumbar area and softer under your shoulders. This means the mattress will feel softer when you are on your side and more supportive when you are on your back and stomach. 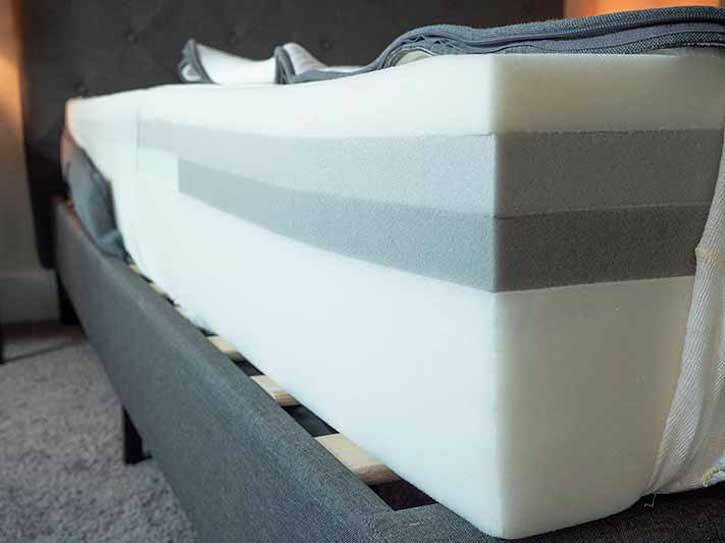 The GhostBed features very high-density foams in its construction. This means it should be able to support even heavier weights. The high-density foams and construction of the GhostBed make it a firmer mattress. 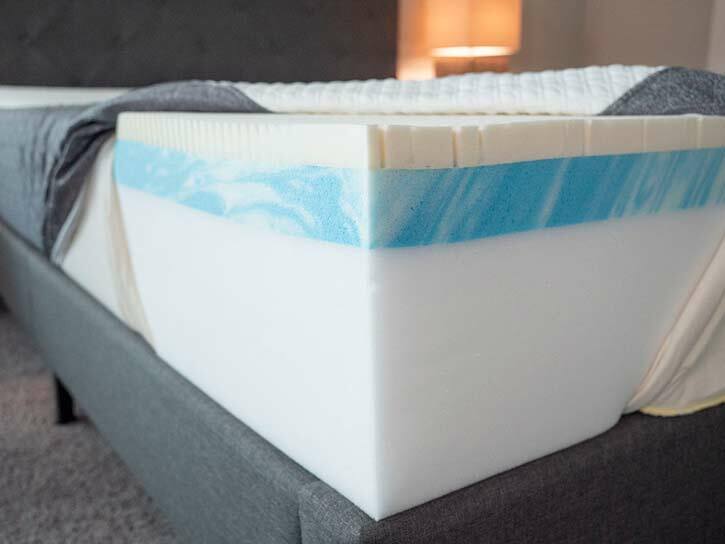 Both mattresses have latex or latex-like materials in their construction. This gives them both a somewhat balanced foam feel where it is easy to move around on the mattress. In terms of firmness, I said the GhostBed was a 7.5/10, and the Casper was a 6/10. I think that most will agree that the GhostBed is firmer than the Casper. However, in regard to the Casper, the mattress might feel firmer or softer depending on your sleeping position. Its zoned construction makes it so the mattress feels firmer when you are on your back and stomach and softer when you are on your side. Back sleeping on the GhostBed, I feel nice support. I will note that lightweight and medium-weight back sleepers might not be heavy enough to really activate that top layer. They might think it is a bit too firm for back sleeping. Moving to my side, I am feeling some firmness on my shoulders and hips. The mattress is firmer than average so it might be too firm for side sleepers. When I lie on my stomach, the GhostBed feels fantastic. It is firm and supportive enough to keep my hips from bowing into the mattress. I feel very well aligned stomach sleeping on the GhostBed. On the Casper, I feel even better sleeping on my back. 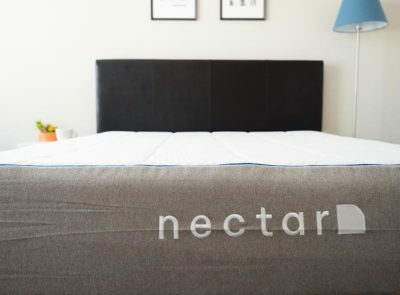 Lightweight and medium-weight back sleepers should really like this mattress. 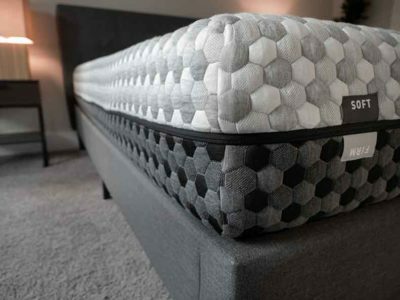 The mattress allows your hips to sink in while still supporting your lumbar area. Side sleeping on the Casper, I feel nice pressure relief on my shoulders and hips. The Casper is softer than the GhostBed and the shoulder area is particularly soft. However, when I move to my stomach, the mattress is not quite firm enough for me. The zoned construction supports me a bit, but not as much as the GhostBed. Most stomach sleepers should prefer the GhostBed. Both mattresses have a balanced foam feel that combines latex and memory foam qualities. However, the feels are still slightly different. The GhostBed does not allow you to sink in too much so you sleep on top of the mattress. The Casper lets you sink in a bit more so you sleep deeper in the mattress. See more of what I thought of the GhostBed’s firmness and feel by watching the video below. Now, take a look at the Casper. If you are looking for a couples mattress, it is worth considering how each mattress handles motion transfer. If you partner moves around at night, will they wake you up? When it comes to motion transfer, the Casper performed better than the GhostBed. Testing out both mattresses, I saw less disturbance on the Casper. Also, when Marten moved around on the other side of the mattress, I felt less of his movement on the Casper. If you sleep with a partner, you should feel less of their movement on the Casper mattress. It isolates more motion so that you aren’t so disturbed at night. See how the GhostBed handles motion transfer in the video below. Now, compare this to the Casper. Also, if you want a couples mattress, you should think about edge support. 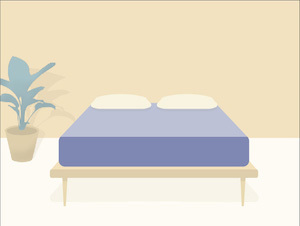 How much of the mattress’ surface can you use? In addition, will you be able to sit or lie down near the edge of the mattress or will you feel like you are going to roll or fall off the mattress? Being the firmer mattress, the GhostBed features better edge support. I feel much more secure sitting and lying near the edge of the mattress. In terms of firmness, I said the Casper was a 7/10, and the GhostBed was close to an 8/10. Back sleeping on the Casper, I feel very nice. My hips sink in but not too far. The zoned construction is giving me good support on my lumbar area. On my side, I am feeling some decent pressure relief on my shoulders and hips. Moving to my stomach, the mattress is a little bit too soft for me. While I am well supported back sleeping on the GhostBed, I wish my hips could sink in a bit more. On my side, the mattress is way too firm for me. I am feeling some serious pressure on my shoulders and hips. Finally, when I am on my stomach, the GhostBed is a great match. People my size who sleep on their back and side should lean toward the Casper. Larger stomach sleepers should prefer the GhostBed. While Marten is larger than me, he does agree that the GhostBed is better for stomach sleeping and the Casper is better for side sleeping. Even though Marten is bigger, he thought the Casper was better for back sleeping. Back sleepers who are even bigger than Marten (in the 240 lb + range) will most likely prefer the GhostBed. You are a stomach sleeper. 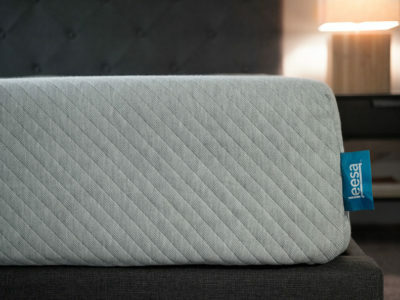 If you sleep primarily on your stomach, the GhostBed should be a great choice. It is the firmer, more supportive mattress. When you lie on your stomach, you should feel proper support on your hips. Because of this, you shouldn’t be bowing into the mattress. You are a heavier back sleeper. If you are a larger person and sleep on your back, the GhostBed should be the way to go. Again, the GhostBed is more supportive so it should be able to support even heavier weights. You prefer a firmer mattress. If you like the feeling of a firm mattress, the GhostBed should work for you. It is noticeably firmer than the Casper. You like to sleep on top of your mattress. When compared to the Casper, the GhostBed does not let you sink in as far. If you like sleeping on top of the mattress, this is the better choice. You are a side sleeper. The Casper is the softer of these two mattresses. In addition, it features better pressure relief. If you sleep on your side, you should feel less pressure on your shoulders and hips. You are a combination sleeper. The zoned construction makes this mattress a great choice for combination sleepers. The mattress is supportive when you are on your back and comfortable when you are on your side. This makes it a good option if you change positions. You prefer a softer mattress. 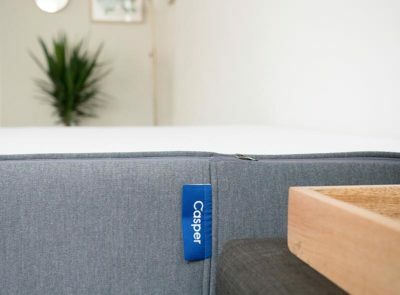 If you simply prefer a softer mattress, the Casper is the way to go. It is definitely softer than the GhostBed and people of many sizes should agree. You like to sink into your mattress. While the Casper does have a balanced foam feel, the mattress allows you to sink in somewhat. You don’t sink in very far but, compared with the GhostBed, you will be sleeping more in the mattress. 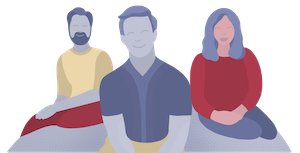 If you consider the information above, it should be easy to choose between the GhostBed and Casper mattresses. Stomach sleepers who like sleeping on top of their mattress should prefer the GhostBed. Side sleepers who want to sink into the mattress a bit should like the Casper. Leave any questions you have about the GhostBed or Casper mattress in the comments below.